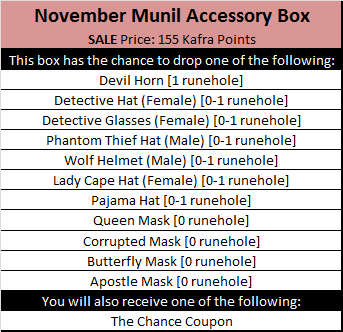 November Lucky Box is on sale! 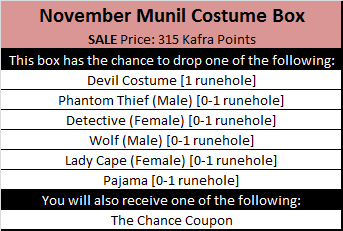 November's Munil Boxes are on sale! We're having a Black November Sale! For the remainder of November, most of our Kafra Shop is going on sale! 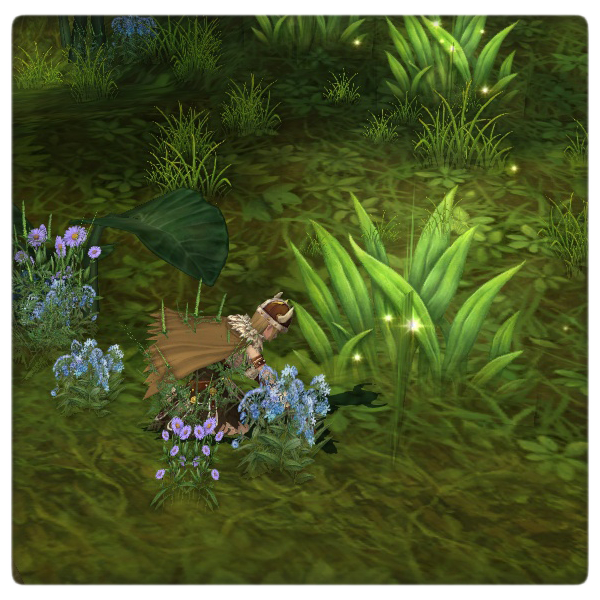 Celebrate Black Friday, Cyber Monday, or any personal holiday you might have with the discounted items for a limited time! 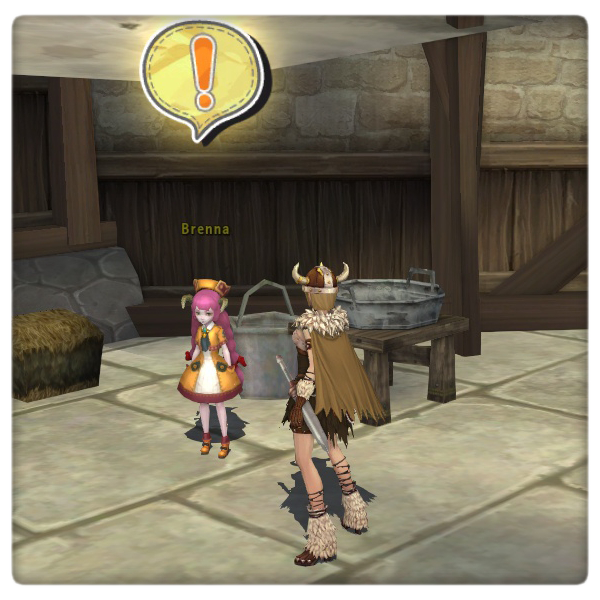 Find Brenna in Prontera to begin a series of Winter Nights quests. 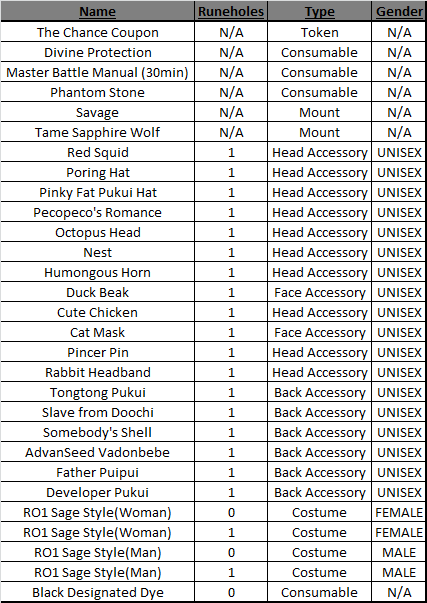 Complete main quests and daily quests to earn Sif's Favor tokens. 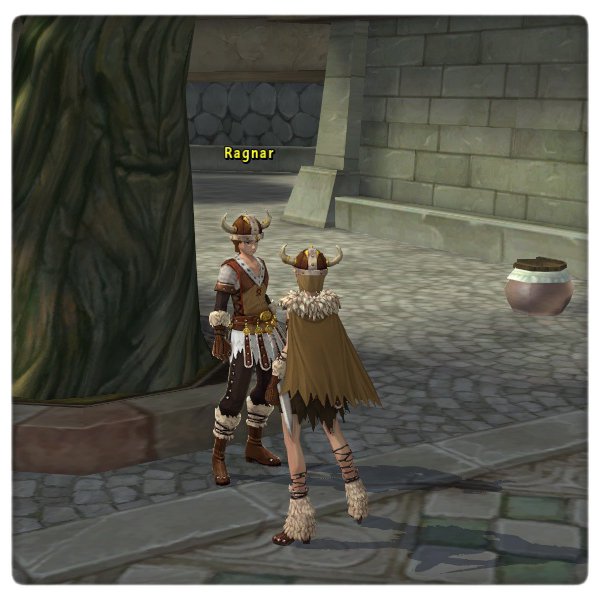 Turn in your Favors to Ragnar back in Prontera to turn in Sif's Favor tokens for special items! Old Sif's Favor can be traded for new Sif's Favor at Ragnar.